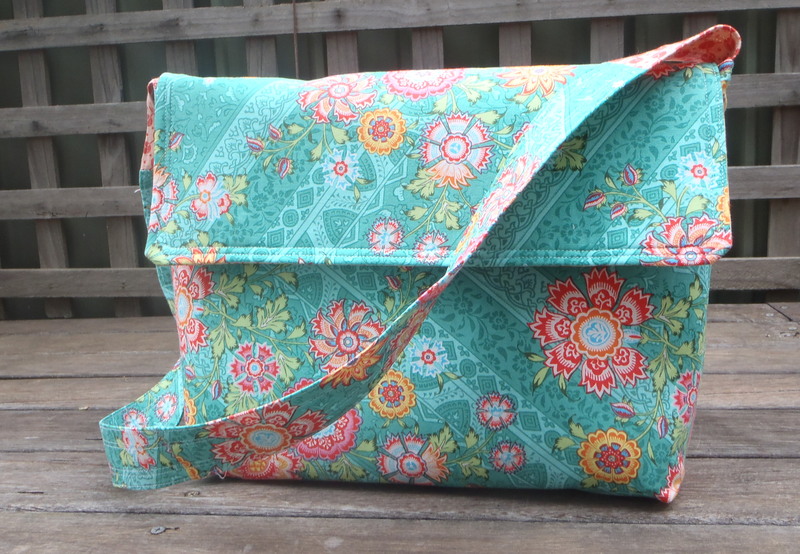 The joy that I felt in creating a new bag design a few days ago has led to another new design! None of these are revolutionary, but I am so proud that I drew them up, worked out the dimensions, the materials, and the construction from scratch that I have to call them new designs! This one was prompted by a friend’s comment that it would be good if you could fit an A4 note-book in a beautiful purse, as we so often go to meetings with a lovely handbag, but a tatty book under our arm (well – I do anyway!) I do have plans to make some covers for notebooks, but in the meantime it can now be disguised in a satchel (or messenger bag, or briefcase, or what ever you want to call it, depending on where you are from!!!) I liked it so much I made two! 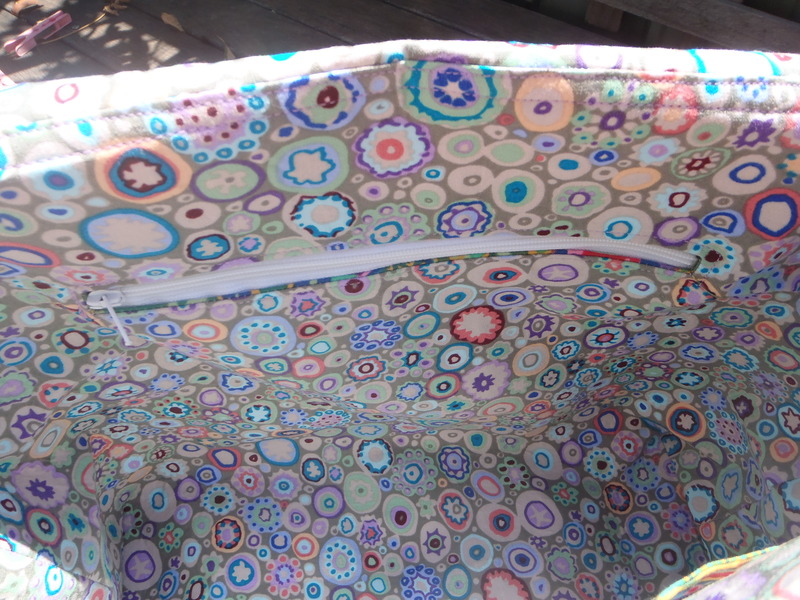 I have used fusible fleece on the outer layer, and really strong interfacing for the lining, so the bag holds it’s shape and stands up well (partly because I hate it when papers get squished in my soft sided bags! I love the fabrics in both of these but have not yet made ‘the one’ that I will take to the office myself! This was my first attempt – and it turned out exactly as I wanted it. 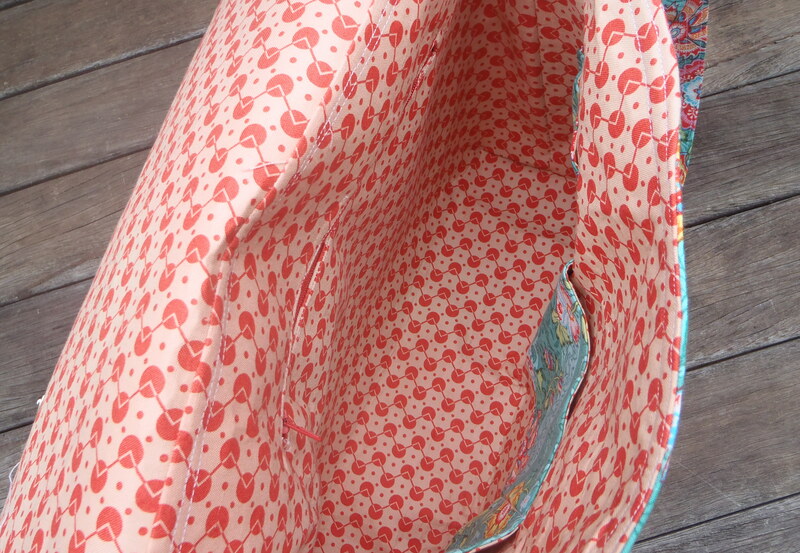 I really like the Denyse Schmidt retro fabric I used for the lining too – will have to keep some for myself! 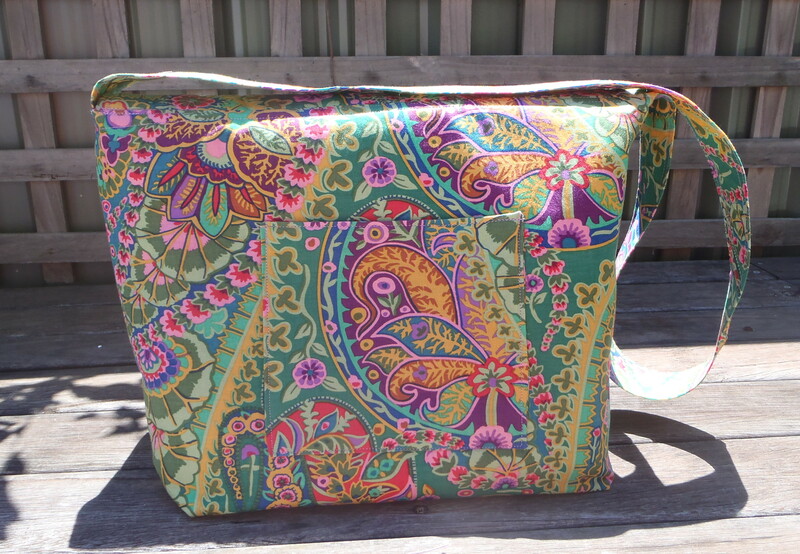 In this second one I got to play with more of the gorgeous Kaffe Fassett fabric – and got smart and put a pocket on the back of the bag – outside – because that is where phones end up going! Another great realisation that has come from this – in order for me to feel that my creative urges are being satisfied I need to try different things – I can’t keep making the same things over and over. That would be my short attention span kicking in! On the home front, the children and I went to see ‘The Life of Pi” as our holiday movie treat this morning. After quietly celebrating the fact that it wasn’t animated, I was interested to see how the children would enjoy it. It was a beautiful movie – both in its themes, visually and in its ability to provoke thought. The girls both loved it and commented several times on the beautiful cinematography. The boy was a little overwhelmed at times and crawled onto my knee but was fascinated and followed the story very well. I am ashamed to say that I haven’t read the book – I will be addressing that soon! I hope that you have been enjoying your week and mixing up your activities to keep life interesting! 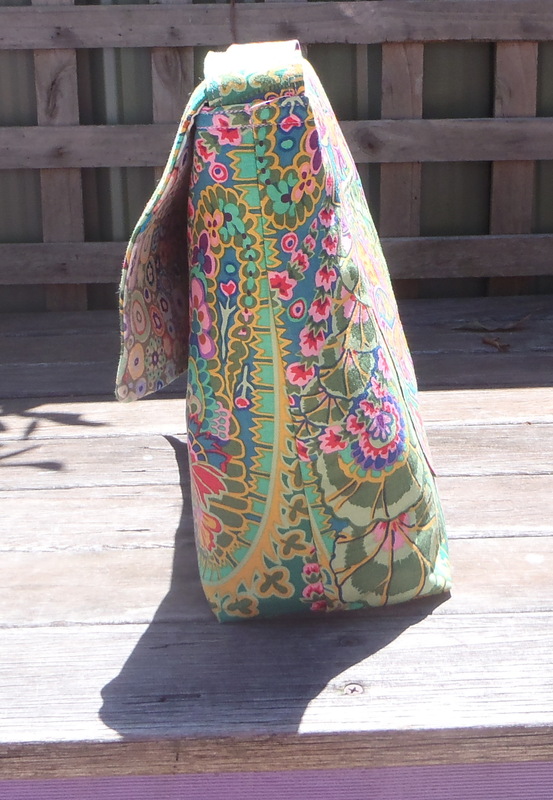 This entry was posted in Sewing, Uncategorized and tagged bags, Craft, crochet, fabric, family, Sewing on January 29, 2013 by a little bird made me. Thank you! I am enjoying making them. Free handing and just trying it out lead to beautiful results, as your bags show. Love them! Thank you! I am enjoying this experience of taking all the little bits and pieces I have learnt from others and being able to put them together into something new! It’s fun to see your style come together. 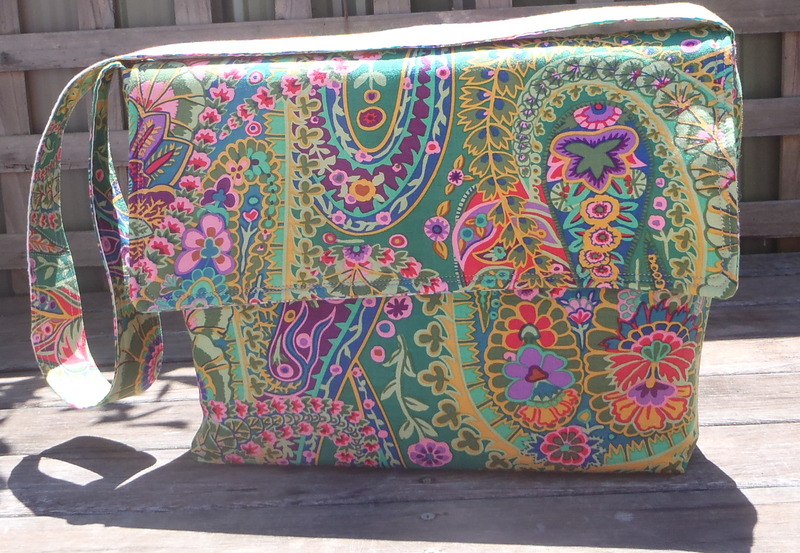 Experimenting with fabrics, colors, textures, designs, and ideas is just exhilarating. There is a real beauty in the building and creating process, and it’s all worth it when you end up with something you love. I’m so impressed. I’ve never designed my own anything! Thank you. I am enjoying watching all the lovely paper things you have been making on your blog and suspect that you will find that you will adapt and change one of the patterns and realise that you have your own creation before too long. Thanks Kare! I am still laughing at your use of my name as an excuse! Still a bit blown away by the nomination – thank you!